The team at Inzillo’s Pizza in Jackson, NJ, wants everyone to feel welcome at the table. That’s why the pizza restaurant proudly provides Ocean County residents with a delectable variety of vegan and other nutritious menu options for breakfast, lunch, and dinner to accommodate all dietary needs. Look in these menu categories to find all the delicious, satiating, nutrient-rich options that await you. If you have Celiac disease or gluten intolerance, take heart: Inzillo’s offers gluten-free versions of many of its popular pies. Feast on a gluten-free take on the classic cheese or Margherita pizza. For an extra dose of vitamins, try the vegetable or bruschetta toppings. If it’s protein you’re after, try the grilled chicken and broccoli or cheesesteak varieties. Hearty salads make for refreshing and filling lunch and dinner fare. 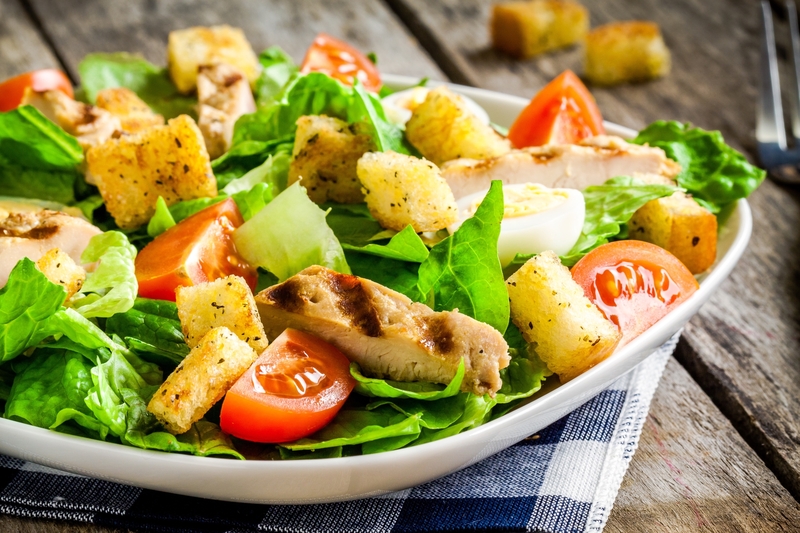 Crisp, fresh vegetables, gratifying portions of protein, and tasty dressing are the ideal way to get your daily nutrients. Try a grilled or crispy chicken salad, or a Chef’s salad brimming with turkey, ham, cheese, and salami. House and Caesar salad variations are also available. Just because you’re vegan doesn’t mean you can’t enjoy pizza. This pizza restaurant offers dairy-free cheese to make your pie suitable for vegans (it’s also a good option if you’re lactose intolerant). Bite into vegan cheese, Margherita, vegetable, or bruschetta options that taste just as amazing as their non-vegan counterparts. Breakfast, lunch, and dinner wraps provide complete nutrition without piling on the calories. Enjoy a satisfying breakfast wrap of ham, cheese, egg, pepper, and onion wrap today, or go for any of the chicken wrap selections for lunch or dinner. Specialty pizzas made with fresh tomato, broccoli, spinach, or eggplant provide healthy vegetable portions necessary to a well-rounded diet. Each bite is guaranteed to be as wonderful as the last. For 17 years, Inzillo’s Pizza has offered options to cater to every palate and need, whether you’re trying to keep it light or want to indulge in a delicious treat. In addition to their selection above, they have many other healthy choices available for customers. Stop by for a quick bite, visit the pizza restaurant online to view the full menu, or call (732) 370-0310 today to order your favorites. Keep up with the latest specials on Facebook. How Did Chicken Wings Become So Popular?